The Kills vocalist Alison Mosshart paced the tiny stage at Apogee Studio back and forth, biting her nails waiting for guitarist Jamie Hince to launch into the opening song of their KCRW Morning Becomes Eclectic performance. Once “U R A Fever” started, Mosshart and Hince were all business, after engaging in an oft-hilarious 20-minute conversation with Jason Bentley. Of the things discussed, Mosshart called The Kills’ Monday show at the Mayan Theater the best they’ve ever played, so if you were at that show consider yourself extremely lucky. She also said their Coachella set on Friday was difficult, with extremely gusty winds blowing dust into her mouth while she sang, the sunlight also making it hard for her to see Hince across the stage from her. You wouldn’t know there was any difficulty given how epic their set was. Their set at Apogee Studio was free from the elements, an intimate performance in front of maybe a few hundred people. No matter where you were in the crowd, you felt Mosshart’s piercing gaze whenever she looked in your direction. Hince’s unique jittery guitar sound complements Mosshart’s deep contralto vocals — like on “Hard Habit to Break” and “Heart of a Dog,” two songs from their upcoming album Ash & Ice, due out June 3 via Domino. Though half of the songs came from their upcoming new record, they delivered favorites like “Black Balloon” and “Tape Song” from past records. Seeing these songs in such a cozy setting was a real gift, and Apogee Studio always delivers a sound so perfect you might as well be listening to a record. 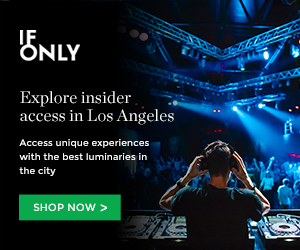 Perhaps this is why so many of KCRW’s MBEs take place here, especially now that Sonos Studios has closed down. These performances are made available to KCRW donors, most of whom are middle-aged. In the past, I’ve noticed a mostly passive crowd. With Mosshart and Hince on stage, that was nary the case. Those same people were rocking out hard, some of the ladies doing their best impersonation of Mosshart’s formidable frontwoman skills. If you’re headed to Coachella’s second weekend, make sure you don’t miss them on Friday at the Outdoor Theatre at 6:10 PM. The trees might not be swaying the same way they did the first weekend, but The Kills will be creating their own sort of whirlwind on stage. If you want to catch the broadcast of The Kills’ episode of Morning Becomes Eclectic, it airs on KCRW on Wednesday, May 18. This entry was posted in Live Concerts and tagged Alison Mosshart, apogee studio, kcrw, morning becomes eclectic, the kills on April 22, 2016 by Sandra Burciaga Olinger.